Acrylic Splashbacks & Bonethane cut to size,shape,coloured or printed to your request. 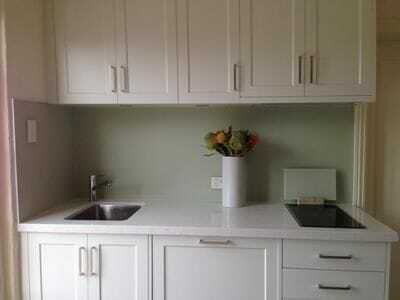 ISPS Innovations create innovative splashbacks in Acrylic and Bonethane Premium high heat polymer, a key interior wall panel respected and specified by designers architects and adored by DIY Renovators for its ease in function and durability. Used in kitchens wet areas including showers, feature walls, signage & digital printed splashbacks. What is more our Bonethane Premium Splashbacks can be used outside and is UV regulated. Our impresseive polymer range expresses the characteristic elegance & depth of glass. ISPS Innovations provide elevated excellence in colour technology and Printed Bonethane Premium Splashbacks that carries the product of Australia logo. Our Innovative and decorative technologies are ideal for domestic and commercial applications which have become over the years the proven quality and accepted glass alternative for Architectural and Designer developments. Measure of Excellence #1. Producing the finest visually translucent Bonethane and Acrylic polymers, using ISPS's innovative colour technologies with GripTek backing. GripTek backing eliminates the unsightly wear of silicone bleeding and delaminating of coatings providing colour consistency and depth.Bonethane & IPA sheeting is waterproofed, protecting colour depth or digital imbedded image. Measure of Excellence #2. Reduce the price by using our selector polymer splashback choices. ISPS Polymer Splashbacks are far less than glass to purchase, making ISPS the true glass alternative that creates a platform of options. Whilst Acrylic is a great DIY product that serves its purposes in many applications, Bonethane is 38% faster in application and time saving processes, what is more Bonethane does not split or crack when cutting, suitable for outdoors, equipped with self extinguishing properties & comes with a 14year warranty in a few easy steps. Measure of Excellence #3. The flexibility and function of ISPS polymers meet Architectural & Designers colour recommendations & maintain crucial deadlines applied and guided by strict OH&S schedules. Due to the light weight of our polymer substrates the ease of cutting, drilling and planning with standard fabricating equipment make our products widely welcomed by trade and DIY Renovators. ISPS have a team of colour specialists and interior and exterior experience joined with our knowledge and understanding of climatic weathering for durable building material requirements. We undertake Designer and Architectural impressions to archetype followed by production. ISPS will deliver your vision through our Innovations to meet your exact project requirements. 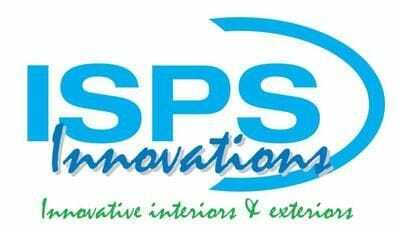 Measure of Excellence #4 ISPS have provided an online shop for DIY Renovators and Home Renovation building materials creating a one stop online platform of custom designed Splashbacks, Benchtops, Kitchens bringing the consumer cost effective interior products made to size and shape in any colour an colour combination. Our range is immeasurable and quality is never compromised. Measure of Excellence #5 KEY attribute of Bonethane: If shifts are evident in the foundation of your dwelling, consumers & specifiers benefit from the use of Bonethane sheets as they can be removed from walls years on without breaking, meaning wall can be repaired and sheet can be replaced. Where acrylic, tiles and glass will crack, Bonethane bows forward allowing the opportunity to remove from the wall and then replace. What more additional power cut outs can be applied through the face of Bonethane without splitting or cracking the sheet, this cannot be achieved with Acrylic sheets. PH 08 8381 8880 7days a week till 9pm Nationally. IPA Acrylic Locally made, Bonethane Product of Australia. Our Polymers are Recyclable into Bonethane10. Production waste is recyclable. Packaging condensed. Note: our Bunnings Splashback range which was Bonethane and IPA Acrylic Splashbacks are now available direct through ISPS Innovationns or call for your nearest distributor.